On Saturday, OMRF welcomed current and former Sir Alexander Fleming Scholars for a special 60th anniversary celebration of the foundation’s one-of-a-kind science internship program. More than 120 guests from across the country gathered at OMRF’s Gaylord Pavilion in the foundation’s research tower to share six decades of cherished memories. The Fleming Scholar Program was founded in 1956 to give Oklahoma’s top science students an opportunity to gain lab experience in a research setting. The program was named after Sir Alexander Fleming, the legendary Nobel Prize-winning scientist who discovered penicillin and also came to Oklahoma City in 1949 to dedicate OMRF’s first building. French also remembered appearing on NBC’s Today Show, then hosted by Dave Garroway, along with all her Fleming classmates. 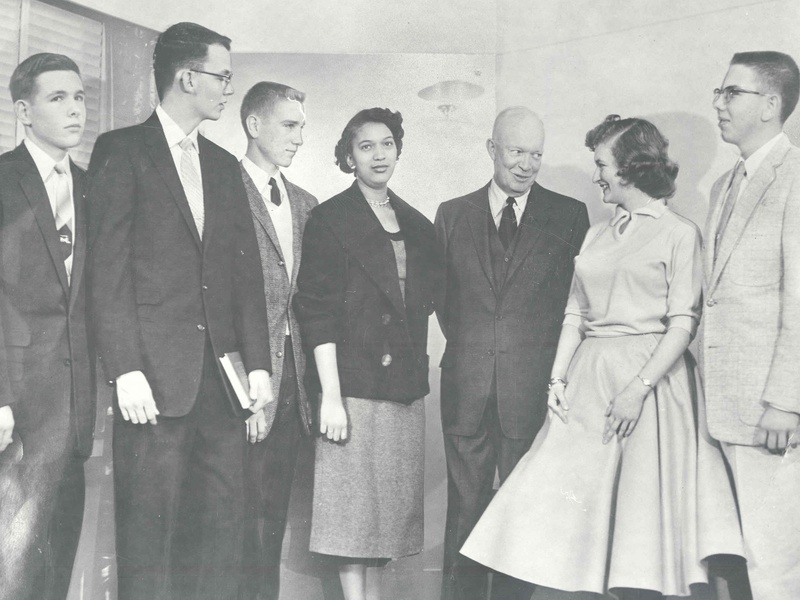 Another guest on the show that day was President Dwight D. Eisenhower, who, in the wake of the Sputnik mission, had launched a nationwide campaign to strengthen science education in the U.S.
As scholars, students take part in hands-on, individual research projects under the direction of senior-level OMRF scientists. In recent years, these in-depth projects have covered a wide range of topics from autoimmune diseases like lupus and Sjögren’s syndrome to the role of proteins in cell division, the connections between obesity and osteoarthritis, and how mitochondria function as muscle mass decreases with age. In addition to lab research, scholars learn from OMRF scientists about diverse research projects and science-related career options. They attend social events and spend time as a group outside the lab. At the end of the summer, scholars made formal presentations outlining their individual research results to OMRF’s scientific staff. Saturday evening’s festivities featured a panel of former Fleming scholars answering questions varying from their favorite memories to how it influenced their career choices.